the pink pagoda — Pencil & Paper Co.
What a great week for "etsy" dicoveries!!!! Here is one more found via Caitlin Wilson Design. 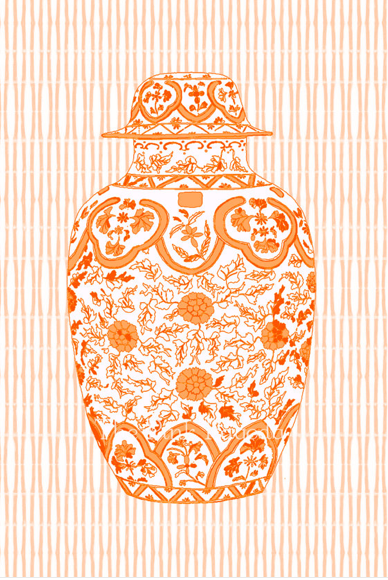 I love this "ming chinoiserie cookie jar" in pink and orange!!!! So lovely!! !